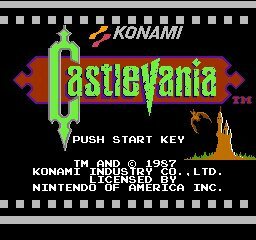 Castlevania, originally released in Japan as Devil's Castle Dracula (悪魔城ドラキュラ Akumajō Dorakyura? ), is a platforming video game developed and published by Konami for the Family Computer Disk System video game console in Japan in September 1986. It was later released for the MSX2. It was ported to cartridge format and released in North America for the Nintendo Entertainment System (NES) in May 1987 followed by a European release in 1988. 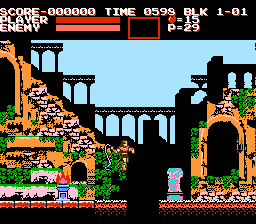 The game takes place in the year 1691 where players control Simon Belmont who is tasked with defeating the vampire Dracula. It was re-released for the Family Computer (FC) in cartridge format in 1993. 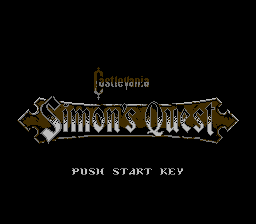 It is the first game in Konami's Castlevania video game series; it was followed by two more NES games titled Castlevania II: Simon's Quest (released for the NES in 1988) and Castlevania III: Dracula's Curse (1989). 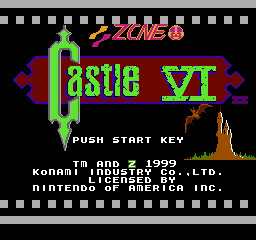 A fourth game was released for the Super NES and titled Super Castlevania IV. 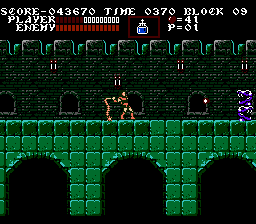 Castlevania is often considered to be one of the best games on the NES. It has received critical acclaim ever since its original release. It sold impressively and is considered an NES classic by PC World, while Nintendo Power and Game Informer ranked it in their best video games list (at 22 and 48 respectively). IGN ranked it 19 among their favourite NES games. Castlevania (キャッスルヴァニア), also known as Akumajō Dracula (悪魔城ドラキュラ, Akumajō Dorakyura, lit. 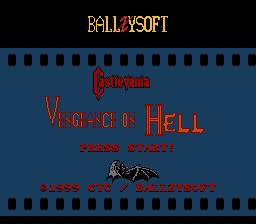 Devil's Castle Dracula), is a video game series created and developed by Konami, centered on the Belmonts, a clan of vampire hunters, and their fight with Dracula. The series debuted in Japan on September 26, 1986, with the release for the Family Computer Disk System (FDS), followed by an alternate version for the MSX 2 platform on October 30. 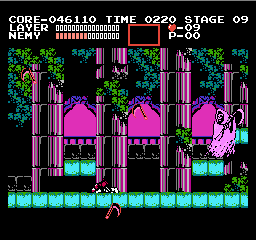 Although the MSX 2 port (localized in Europe and Brazil as Vampire Killer) was released first outside of Japan, the series did not receive wide attention outside of Japan until the FDS version was ported to cartridge format for the Nintendo Entertainment System and localized for North American and European releases of Castlevania in 1987. The series soon became one of Konami's flagship series. The Castlevania titles have been released on various platforms, from early systems including the Nintendo Entertainment System to modern consoles. 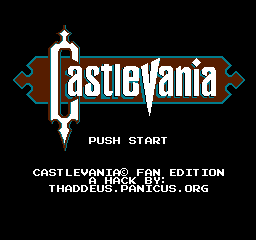 It has also been released for Pocket PCs Emulators and mobile phones. 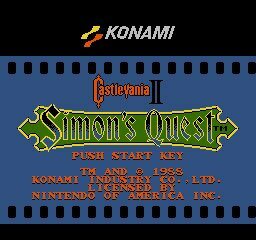 Castlevania II: Simon's Quest, known in Japan as Dracula II: Noroi no Fūin (ドラキュラII 呪いの封印 Dorakyura Tsū: Noroi no Fūin?, lit. Dracula II: The Seal of the Curse), is an action-adventure platform game produced by Konami. It was originally released for the Family Computer Disk System in Japan 1987 and for the Nintendo Entertainment System in North America in 1988. 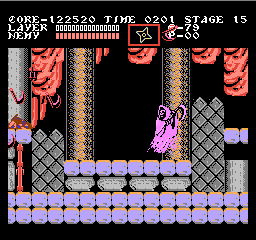 It is the second Castlevania title released for the NES, following the original Castlevania. Set sometime after the events of the first installment, the player once again assumes the role of vampire hunter Simon Belmont, who is on a journey to undo a curse placed on him by Dracula at the end of their previous encounter. 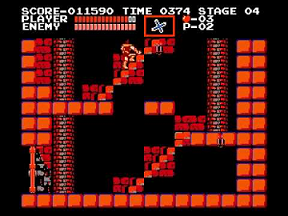 With Dracula's body split into five parts after his defeat, Simon must find and bring them to the ruins of his castle to seal and defeat him. © 2019 8BBIT Retro NES Games Online.